Deerskin leather is well known for its connection to Native Americans and is a top quality material to create different types of clothing such as shirts, pants or coats but also gloves, handbags and shoes such as moccasins and slippers. 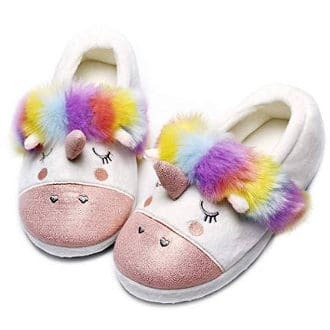 For people who like a nice looking genuine leather shoe for the house that feels soft, light and comfy, here are some good deerskin slippers for men and women reviews. What Is Deerskin Leather and What Are Its Features? Deerskin leather is a leather that comes from the skin of the deer. Due to its quality features and since it is not mass produced, is has a luxury appeal and is a rather expensive material. If you are interested in buying a deerskin shoe, you should expect your item to have the following characteristics. First, deerskin leather is a soft and stretchable material that is lightweight as well as breathable and that why it is a great material to create shoes and slippers. Although it is a thin leather, its great advantage is that it is durable and strong. It is also soft and that is why, over time, it can collect dirt and oil but if you care for it properly, you can keep it at very good condition because it is easy to clean. Since it is unfinished, it is not stain or water resistant but you can increase its stain and water resistance by applying a specialized product on the leather. Finally, deerskin leather is a top quality material that will last long with proper care. 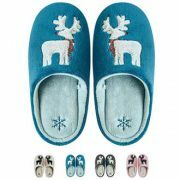 If you are interested in buying a good quality deerskin slipper, here is a selection of some of the best deerskin slippers and moccasins for men and women. Users mainly wear this durable Minnetonka men’s deerskin moccasin indoors but the leather sole is thick enough to wear for a quick trip out as well. This shoe is hand-crafted and consists of two layers of deerskin leather. It also features a padded insole and a deerskin softsole. In addition, a suede protector can be applied on the leather for better protection. Users love the looks and quality of this deerskin footwear and find it well made, very durable and extremely comfortable. It is also feather lightweight and soft. 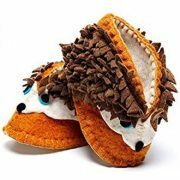 Few users have mentioned that, in their case, the moccasin needed a bit of a breaking-in period. 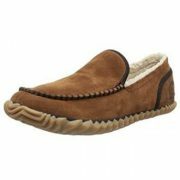 These hand-made Minnetonka women’s deerskin moccasin shoes can be used as slippers or outdoor shoes. 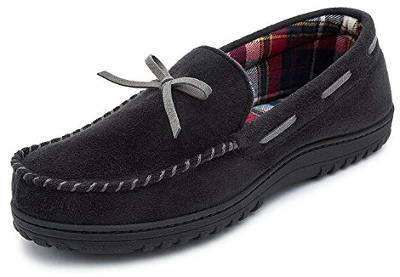 They feature a genuine deerskin leather upper, a leather footbed that is padded, and a rubber outsole. Other details such as the metallic beading and the rawhide lace make this footwear even more pretty. 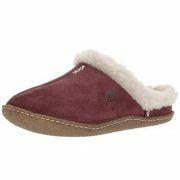 Users love the buttery softness of the deerskin leather and say that this quality footwear is very comfy and cute. It runs true to size and the construction is great, too. 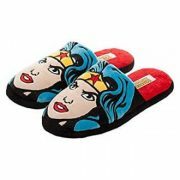 The only disadvantage people mentioned is that it does not have any arch support. L.B Evans men’s deerskin slipper looks very stylish, well made and comfy. 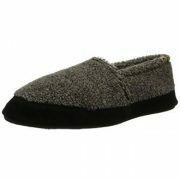 It has an easy slip-on design and both the upper and the lining are made of genuine deerskin which is soft and flexible. It also features a rubber outsole that is good enough for using outdoors as well. 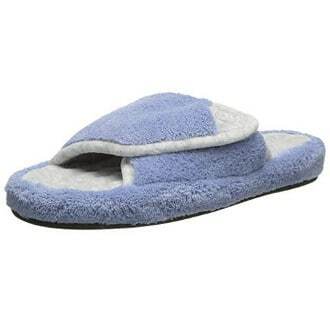 Users review that these men’s deerskin slippers are well made, very comfy and warm. They last for years and the deerskin leather is soft and supple. There is no arch support but you have the option of getting an insert. 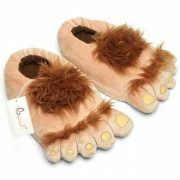 Finally, some people say that this footwear is not suitable for wide foot people. 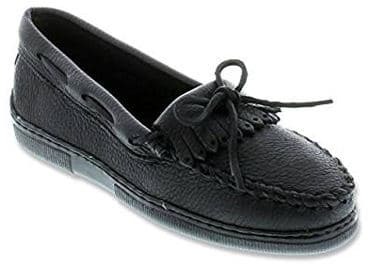 These genuine moosehide loafer moccasin shoes for women are handmade, sturdy and pretty. They are made of soft, thick and durable moosehide leather and feature a padded insole, a lightweight rubber outsole that is flexible, and rawhide lacing with ties. Users like the moosehide leather which is breathable, supple as well as soft and at the same time very durable. 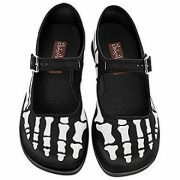 This shoe is very comfy and it does not require any break-in period. 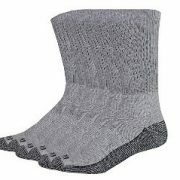 The sole is also flexible and cushy but does not have any arch support. This is actually a faux moosehide moccasin slipper and not a genuine moosehide leather product. 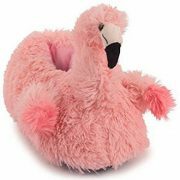 Nevertheless, it features nice colour contrasts, plaid lining, a whipstitched toe, a memory foam footbed and a sturdy rubber outsole that is suitable for both indoor and outdoor use. 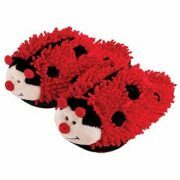 These slippers can be machine washed. 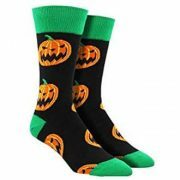 The company suggests that they may feel a bit snug when you first put them on, but in about a week, the insole compresses a little so the shoe fits better. They also recommend that if you wear a half size, it is better to go a size up. 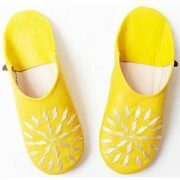 These are genuine deerskin leather slippers with very pretty details. Everything in this shoe is made of deerskin leather including the upper, interior and outsole. 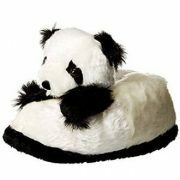 Users find them very pretty and comfy but there are not that many reviews by users. These deerskin moccasins are made in Canada. They feature a genuine deerskin leather upper, durable hand stitching, a double leather sole and deerskin lining. The insole is padded. 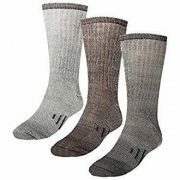 Users review that although a bit pricey, they are great quality, well made, very comfy, light and soft. Also, the arch support is minimal. 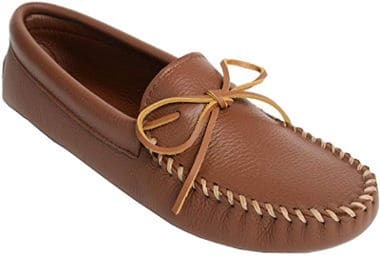 All in all, if you are looking for a genuine leather moccasin slipper that is soft, durable, lightweight and very comfy, deerskin slippers make an excellent choice. They may be a bit on the expensive side but they last for years and they look stylish as well. 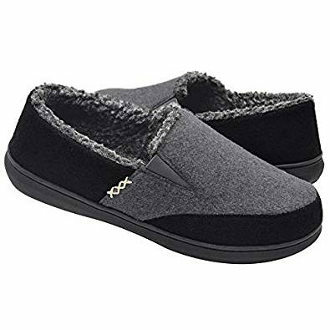 The above deerskin slippers for men and women reviews are great options to think about or offer as gifts to people who appreciate a pair of good quality leather shoes.